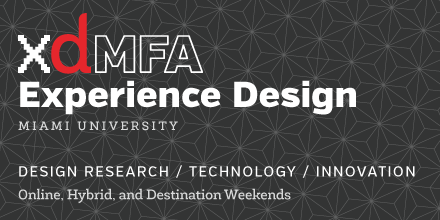 First, apply to Miami and to the Art Department (see details of that review process at the Department of Art website). Students officially accepted into Miami and the Art Department as incoming freshman are designated “pre-communication design majors.” Those not accepted will be given the designation of “College of Creative Arts Undecided” student, but can still take the Art Foundation courses and can apply to the communication design program. Whether you are a pre-communication design major, a College of Creative Arts undecided student, or another Miami major, take ART 111, 121, and 151 in order to apply to the communication design program to become a major. ART 151 What is Communication Design? is a six-week sprint class that is offered in the spring semester and familiarizes you with the design profession and helps build your communication design portfolio. In some cases (for students who are behind with their courses and are trying to catch-up) we will allow students who have taken only ART 111, 121, and 151 to come up for the review. If you are in this situation you need to be advised by one of the communication design faculty. In March of the spring semester, submit your communication design portfolio to our official review. Learn more about the application process. Be aware: if you are unable to go through the portfolio review process as a first-year student, you will most likely have to add a year to your matriculation, graduating as a fifth-year student. If you are in this situation, it’s key to get advising from one of the communication design faculty to clarify and confirm your curricular path. 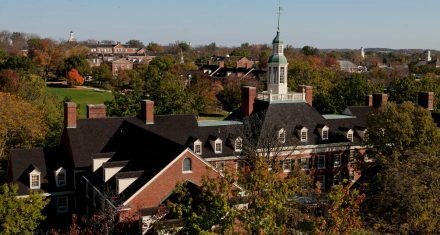 Also, if you are transferring from another institution, you should email/speak with Robert Robbins, Department Chair, robbinrv@miamioh.edu, (513) 529-2900. This section details what to include in the communication design portfolio that is submitted spring of freshmen year. The portfolio should contain 12-15 pieces of work. Students who have taken advanced studio courses [200/300 courses] in the Department of Art may include works from those studios in their portfolios. There should be a good balance between hand-crafted works and digital pieces. Submission of projects from ART151 in the portfolio is required. Include a current DAR (Degree Audit Report). Applicants should have a minimum 2.0 GPA.